Rick meets a group of survivors on episode two of The Walking Dead. They aren't thrilled to see him, though. Why? As one woman says here: He just rang the dinner bell. 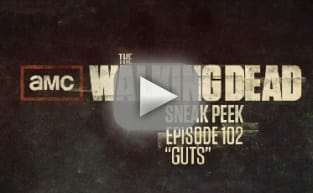 The Walking Dead Season 1 Episode 2: "Guts"